January 15, 2016 was the deadline for the latest financial reports for the 2015 campaign for Mayor and Council in Rockville, which covers the week before the November 3 election through the end of the year. Although this includes the hottest period of the campaign, it’s also assumed to be the quietest financially because most contributions and expenses have already been made. For the 2015 campaign, however, that short period represented 19 percent of the revenues and 38 percent of the expenditures so it wasn’t a fallow period. More than $17,000 in contributions arrived in candidates’ bank accounts after October 26, including last-minute donations between candidates and from planning commissioners, creating a few more connections that weren’t apparent earlier. Expenses exceeded $60,000, most of it concentrated in the mayoral race between Bridget Newton and Sima Osdoby and the council campaign of Richard Gottfried. Gottfried spent an additional $9,715 for a campaign total of nearly $50,000—by comparison, the other Council candidates spent an average of $6,812 and mayoral candidates averaged $25,416. 2015 Rockville Campaign Expenses for the period ending December 31, 2015. Patrick Schoof’s data is incomplete. The candidates for the Rockville Mayor and Council submitted their second and last set of campaign finance statements before the November 3 election, giving voters an insight into the tactics of their campaigns. So far, more than $70,000 has been contributed to the various candidates and more than $100,000 has been spent. The $30,000 difference is due to personal loans or contributions that candidates make to their own campaigns–indeed, most of that is due to the extraordinary campaign of Richard Gottfried. His may be the most expensive campaign in this election and probably in the history of Rockville. So far, Mr. Gottfried has received contributions of $1,880, the least of all candidates, yet has spent $39,617, the most of all candidates. He has loaned himself the difference and spent most of it on direct mail and campaign materials. By sending out at least four direct mail pieces, the first long before anyone else, and using what appears to be paid political consultants, he may be signaling a change in the way campaigns will be run in Rockville. Without a widely distributed local newspaper, getting the attention and support of voters will have to rely on tactics in addition to the traditions of yard signs and precinct walking. For the moment, direct mail assures candidates that they can reach every voter but it’s also very expensive. Printing and postage are the biggest expense, but design and messaging are incredibly important as well. Most candidates don’t have that expertise and have to rely on outside professionals, often at a cost. As we are finding in state and federal elections, campaigning is as much about appearances and marketing as it is about issues and ideas, and that public image needs to be continually reinforced with an electorate that is bombarded by information and has a short attention span. If this trend continues, how will Rockville voters distinguish among candidates in the future? Or will they simply withdraw from the sea of sound bites and slick mailers? Has the Revised APFS Launched a Thousand Houses? As many of you are aware, I voted against the APFO and the weakening of those standards. I believe we have to have an adequate infrastructure. That infrastructure is not only for schools but it is also for transportation, public safety, fire, and water and sewer services. I voted against it because in my view we can have development but it was the developers who were really for the adequate public facilities changing. 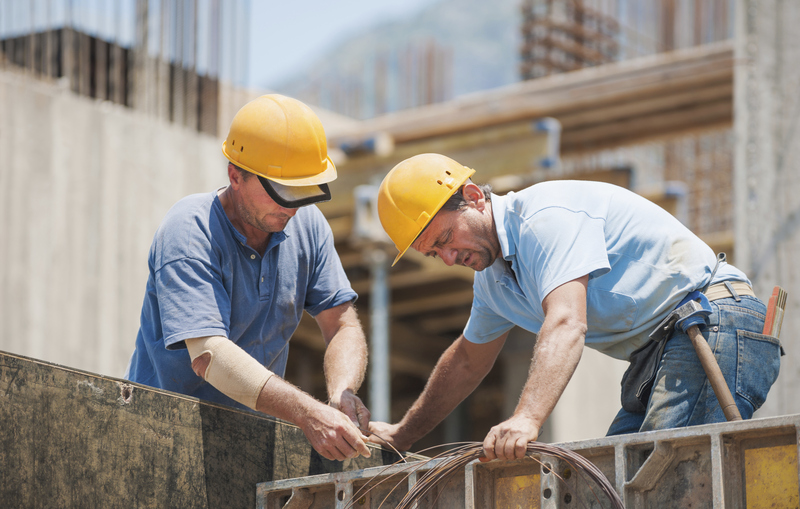 What we have seen since the change has been an influx of almost one thousand different units from different developers coming through the pipeline without really concerning adequate infrastructure, notably in transportation. One area has been along Wooton Parkway where 102 are proposed for the Rockshire community* as well as an EYA proposal off Preserve Parkway with about 350 units. ** Both of those will be on Wooton Parkway. Senior Citizens Commission Candidates’ Forum on Wednesday afternoon, October 14, 2015 from 1:00 to 4:00 pm at the Rockville Senior Center, 1150 Carnation Drive. This debate will address specific issues affecting seniors, in addition to some questions of general interest, as time allows, with the final hour reserved for one-on-one conversations with those attending. West End Citizens Association (WECA) on Thursday evening, October 15, 2015 from 7:00 to 9:00 pm at the Rockville Presbyterian Church, 215 W. Montgomery Avenue. Most likely this forum will focus on issues that affect the West End, such as traffic, development, commercial/residential balance, historic preservation, and pedestrian safety, which may be similar to other residential neighborhoods. Both forums are free and open to the public, and no reservations are needed. Sima Osdoby. Longtime resident of New Mark Commons, is active in many community and advocacy groups at the local and state level (such as Emerge Maryland), and an international consultant on governance and democratic elections. Virginia Onley. Currently serving on Council, is retired from IBM, and a resident of the Americana Centre. Julie Palakovich Carr. Currently serving on Council, she is a resident of East Rockville with a new-born baby boy and works for a non-profit public policy organization focused on biology. Beryl Feinberg. Currently serving on Council, she lives in Orchard Ridge and is the Deputy Director and Chief Operating Officer of Montgomery County’s Department of General Services. Richard Gottfried. A resident of Twinbrook, he is currently the president of the Twinbrook Citizens Association and owns a home-based accounting practice. David Hill. A soft-spoken analyst with Westat who lives in Hungerford and currently serves on the Planning Commission. Brigitta Mullican. A resident of Twinbrook who is president of Rockville Sister City and retired from Health and Human Services. Mark Pierzchala. Formerly serving on Council, he is a resident of College Gardens and owns a consulting business in Rockville that focuses on statistical analysis. Clark Reed. A resident of Twinbrook, he works for the Environmental Protection Agency and serves as chair of the Environment Commission. This year’s election is more important than in previous years because terms have doubled from two to four years. That means if a councilmember turns out to be a ding-dong, you’ll have to wait much longer to vote him or her out of office. Your vote is more significant than ever this time around. No word on council members Tom Moore or Bridget Newton, although as incumbents, they have a significant advantage over newcomers and don’t need to announce right away. Summer is typically very quiet, but the election season will pick up in mid-August as candidates form their teams and begin raising money in anticipation of the September 4 deadline for getting on the ballot. This election will be more important than usual because the terms expand from two to four years. We’ll want to have an especially good council because we’ll be living with them for twice as long. If you’re interested in running for office, pick up your candidate information election packet soon. You’ll have to submit signatures from 100 Rockville residents who are registered voters along with appointing a treasurer and filing a financial disclosure form. The process takes longer than you expect, especially to get those signatures. The most efficient way is to obtain the current list of registered voters from the City Clerk’s office or the County Board of Elections and only go to the homes of registered voters. At this point, you don’t need to ask for their support or an endorsement–you just want their signature to get on the ballot and offer voters a choice. Do not gather signatures at Metro, grocery stores, or city events. You’re wasting your time because many won’t be registered voters or don’t live in the City of Rockville, and their signatures will be disqualified. And just in case, get an extra ten signatures to be sure you have some wiggle room (I’ve had signatures tossed because a person’s married name was different from their registered name–double-check to be sure names match and they’re legible). After Mark Pierzchala, Tom Moore, Virginia Onley, Julie Palakovich Carr, and Beryl Feinberg announced in March their intentions to run as a slate (Team Rockville) for Rockville’s City Council, it’s been exceedingly quiet. Bridget Newton’s announcement last month raised the temperatures a bit, but not as much as I hoped. Phyllis Marcuccio and John Hall gave her mild endorsements and she wasn’t able to assemble a full slate to compete. Nevertheless, with Marcuccio’s departure as Mayor, the absence of an incumbent will make the contest between the two Council members for the Mayor’s seat much more interesting. Strangely, the four Council seats are unopposed with Moore, Onley, Palakovich Carr, and Feinberg as the only candidates (four seats, four candidates). This Friday, September 6 is the last day for residents to submit their petitions for candidacy so that situation could easily change. I’ve heard that Richard Gottfried (a previous candidate), Claire Whitaker (Phyllis Marcuccio’s sister), and Don Hadley (planning commissioner) are circulating petitions, so perhaps we will once again have the usual 9 to 11 candidates on the ballot. 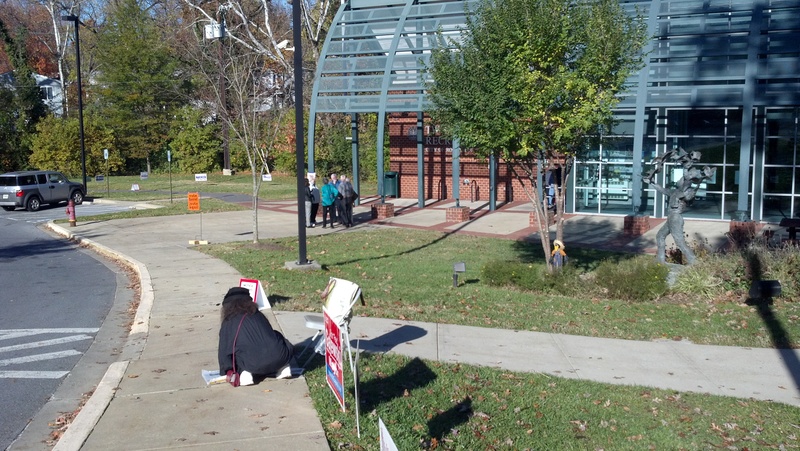 Candidate Phyllis Marcuccio campaigning within 50 feet of the polling place in Twinbrook in 2011, a violation of city code. No matter who runs, I hope it’s a much cleaner, issue-focused, and transparent election than the last time. The campaign between Phyllis Marcuccio and Piotr Gajewski was both heated and close, which unfortunately brought out poor decisions and bad behavior from both camps. The City’s Board of Supervisors of Elections (BSE) spent more than a year after the election reviewing complaints, determining penalties, patching holes in the financial report forms, figuring out the voter rolls, and revising the election code. Their recommendations, though, weren’t heard by Mayor and Council until February 11, 2013–just six months ago and nearly 22 months after the election. Ugh. Lots of hard feelings remain in the community, and I am concerned that that the shenanigans will return. I hope not. The 2011 campaign left an especially bad taste and I don’t want to experience it again. I witnessed illegal and unethical behavior during that campaign and went through the official process of filing a complaint with the BSE, but it was never answered despite repeated requests. This year I won’t wait for the BSE (or Patch, Gazette, or Sentinel) and plan to throw a flag and raise an eyebrow more publicly to stop underhandedness and bad behavior in its tracks. So I’ll start with some transparency right from the start: I am supporting Team Rockville and working closely with Mark Pierzchala on his campaign for Mayor. Of course, that will bias my opinions but everyone has biases–at least you know what mine are from the start. And if you have opinions or thoughts, you’re welcome to share them in the comments (I won’t edit or censor them unless they really get out of hand). The more people talk about the issues facing the community, the better it will become. Just a reminder, Election Day is Tuesday, November 5, 2013. Put it on your calendar (me too! I accidentally wrote November 6). 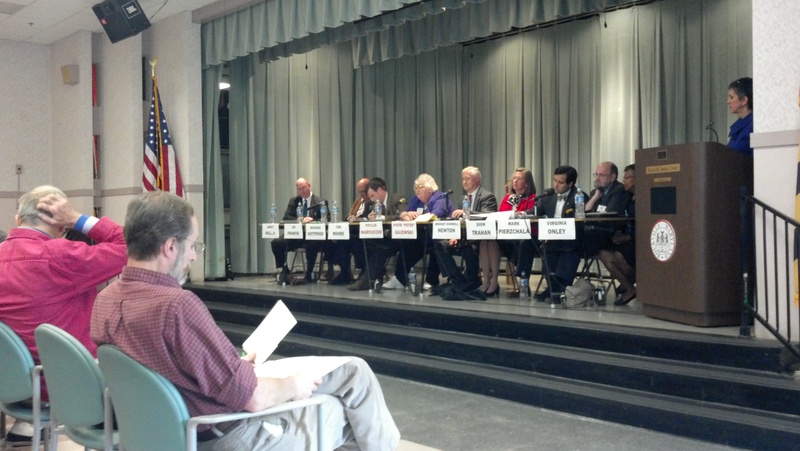 Rockville City Council Candidate Forum at the Senior Center. I had a chance to attend my first city council candidates forum today, which I think is actually the third of more than a half dozen. If you missed it, don’t worry, you have plenty of opportunities coming up (including two this upcoming week that will be broadcast). Today’s forum was held in the senior center and hosted by the neighborhood associations for College Gardens, Woodley Gardens, and Plymouth Woods and moderated by Cheryl Kagan. All the candidates were seated in a single row, barely fitting on stage, and about 60 people attended, mostly senior citizens. 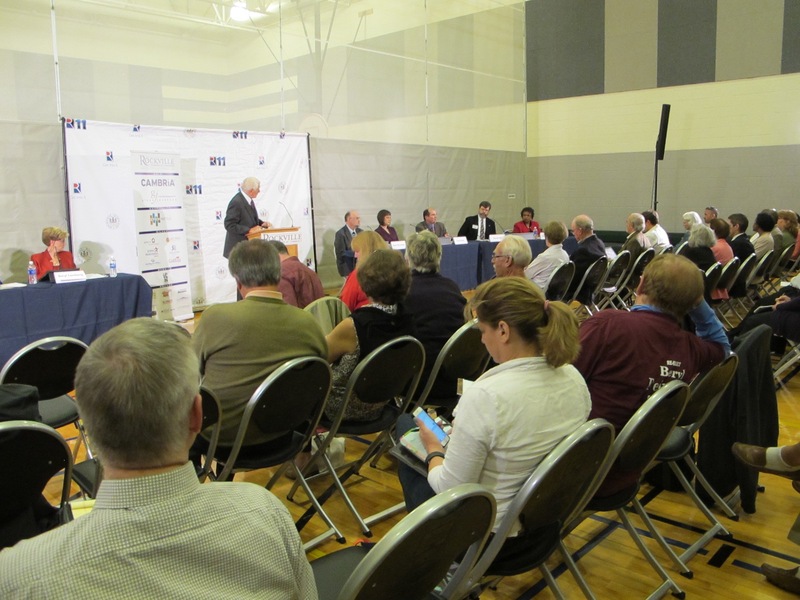 Unlike some neighborhood forums that focus exclusively on their parochial issues, this one ranged widely around Rockville, including such topics as Rockville in ten years, budget and finances, the APFO, Rockville Pike Plan, the fence separating Montgomery College, the city logo and branding, qualifications of the next city manager, relationships with other government agencies, relations with city staff, the proposed Walmart, and an assessment of the city’s website. Perhaps the most provocative question was, “which candidate do you oppose in this election and why?” I won’t provide a detailed report on everyone’s statements–I’ll leave that to the Gazette or you can watch the 2+ hours of it on YouTube–but will just give general impressions and highlights.